Few days ago I had made a post about Giant Golden Bees in Melbourne. 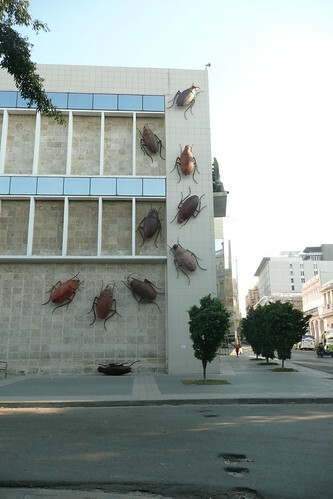 Today, I present ten giant cockroaches (Periplaneta americana) at the Museo Nacional de Bellas Artes (National Museum of Fine Arts), Havana, Cuba. The public artwork known as "Survival" was created by Roberto Fabelo for the Xth Havana Art Biennial - 2009. 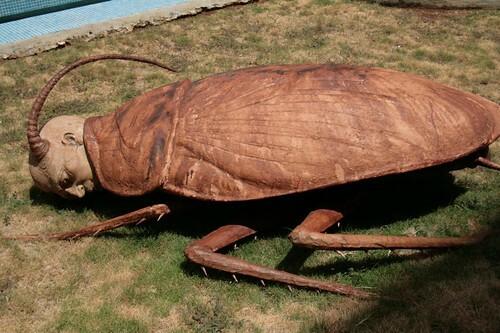 The artist has given human faces to these cockroaches. 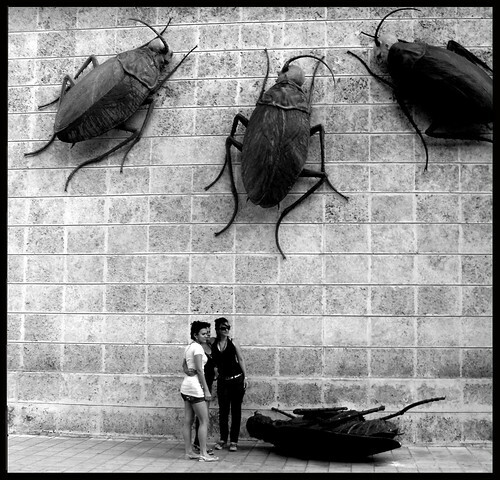 Presently no further information is available about these giant insects which appear to be about 2-3 metres long. Here is a YouTube taken during the installation. My husband was eating breakfast and almost lost it when I opened this.